We often talk about lenses, but very rarely about the coating on a lens. In fact, this is one of the major factors affecting the performance of a lens, as coatings reduce internal reflections and flare, which increases contrast, and therefore improves apparent sharpness. You're not likely going to be able to buy a brand new lens uncoated (as this is an effect not everyone wants), but there are places that will remove the coatings on a brand new set of lenses. We now have some sample videos of some Samyang lenses that have had their coatings removed, as well as some more professional cinema lenses. Click through to check them out. This effect is definitely not for every shoot, as flares can get downright ridiculous on uncoated lenses, but for a vintage or classic look, these will do a fantastic job of softening the harsh look of digital cameras. These particular lenses are available from Shoot Blue in the UK, and the front and rear element coatings were removed by Duclos Lenses. Many older lenses were made without coatings, so if you can find some vintage lenses, there's a good chance they will also be uncoated. There is another reason you might want to try out some uncoated lenses, and that's because it's difficult to get that look any other way, and it will definitely make a video stand out. Here are some more sample videos of uncoated lenses. You may not choose uncoated lenses on your next project, but it's certainly something to keep in mind if you're looking for a particular look, and you want some interesting flares. For more information, head on over to Cinescopophilia using the link below. What do you guys think? Have you used uncoated lenses before? Have any examples? Feel free to share them below. These are nice effects, I would prefer do do this in post and have files that can be manipulated to exact perimeters. I would also be concerned with cleanliness in reassemble of lens. Professional places like Duclos can rehouse a lens like brand new. 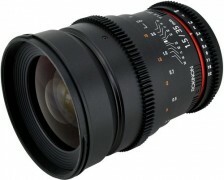 They handle tons of far more expensive sets of lenses every day. I think in those rare instances, uncoated may be something to consider. In post, I could key frame a 10 second segment in less than an hour and charge a client $500 - $750 for effect. Post offers control, elimination of variables that could cause a project to go south and more revenue at the end of the day. This was a good post Joe and for some projects this could be the ticket. The "in lens" effect is always more organic and natural from what I've seen. Anybody has a link or and example of lens reflection done in post that looks as nice as the examples in the CamTec clip above? Doing it in post would be ten times more expensive than doing it in camera, if not more. Here in London, where I reckon we're truly spoilt for choice, you can rent a set of truly flarey primes for around £300 per day (or, in other words, a weekend). As far as I know the hottest at the moment are the Bausch & Lomb Super Baltars with their matching Kowas, followed closely by the Cooke S2, Uncoated Zeiss SS and Canon K35. I wouldn't recommend the Cooke S2 on a 5D or similar full frame camera, as they vignette. Do make sure to check that the lens' illuminating circle matches the sensor! You can always use filters, either at the front or at the back. Front mounted streak filters create quasi-anamorphic looking flares. And, if you are feeling truly adventurous, you can simply use the old technique of placing a taut stocking in the lens mount. I can't recall exactly which density is the preferred. I would, however, be very wary indeed of using any of these on a DSLR. Sharpness is already between bad and terribly bad. Shoot it straight. Add hipster effects in post. Instagrams dead cool isn't it? Let make everything look like it was shot on a crap camera. Or lets not. Lets preserve the option to make it look nice rather than shoot it on crap glass. Or worse yet, half-decent glass deliberately made to look crap. Why not just adapt old m42 pancakes instead? Fake flares don't look the same as those done on set, at least not without hours of tweaking. If you know the look you're trying to achieve, why not just do it? I certainly wouldn't call this a hipster effect, it's very common for high-end fashion videos to utilize low-contrast filters and lots of flares, much of which is done right in the camera. The easiest and most rewarding way to feel better about yourself is to immediately write something off as "Hipster"
It does take crap or decoated lenses to acheive a lot the effects here, with the intended wrong technique and awareness of where the light source shouldn't be you can provoke most lenses into bad behaviour. M42 lenses. I specifically built a collection of coated and non coated m42s for this very reason. There's something in a true flare that can't be replicated, at least not yet anyways. It's the way an image looks one way and then has a light hit it just right and looks completely different. love this. hadn't thought of having it decoated. will look into doing this on another Rok 14. I hate lens flares 90% of the time, love them in landscape or reveal shots though, but I like uncoated and single coated glass for the low contrast flat look which I find responds better to grading in post. I'm still surprised at the current fashion for lens flares. Lens flares are a bad thing. The image should be as clear and as pristine as possible. By all means, if you want to emulate bad imagery, do it in post. But lens flares have always, in my mind, broken the fourth wall and taken me right out of the movie. This current fashion for flares climaxed with the ridiculous over-use of them in the last Star Trek movie. Which, unfortunately, inspired even more people to use them. You can't add realism to a project by emulating flaws. Yeah, it can be a nice effect, but is it practical? Outside of music promos or "dream sequences"? It kills drama. Really? Interesting. So the 2-3000 major films shot with anamorphic lenses contain no drama? That is honestly one of the stupidest statements I have ever read, and it seems you have companions. Lens flares (used well) ADD emotion and realism to a scene. If you don't believe me, ask Steven Spielberg, JJ Abrams, James Cameron and Peter Jackson. Yes, when you have people like Len Wiseman (and Abrams) adding motors to Panavision lenses to get non-realistic flares that seems ridiculous, but to claim that a lens flare takes you out of the drama must make film going a very painful experience for you. Just a personal preference but anything that affects the suspension of disbelief and betrays the camera in dramatic productions is just wrong. I suggest you stick to watching Theatre. Spend 100 years trying to avoid lens flare, now people want it. You can't explain that. Not discounting the posts above, but there are more ways to tell a story than realism also, and if it serves the mood and feel of a piece, flares can be gorgeous and enhance the image and thereby story imo. Nor do I think they are always necessarily that "unreal" an experience. Light refracts, reflects, flares and glares off and through many surfaces in every day life, creating "flaring" of a kind. It's an interesting discussion I think. Do aspects of visual language that are commonalities therefore become "realistic" in a film context? Personally flares if not excessive don't lift me out of a story. And does it get less realistic than David Fincher flying you through the handle of a coffee cup (Panic room) or bullet time, or even just slow motion? If we talk about over use though, I think it was the rehashed Total Recall took the cake. Truly absurd amount of flares in that one. I do agree about that one (c'mon, adding motors to lenses??) but would it have been a better film without them? No. Sadly. The ridiculous flares were just icing on a bad cake. Flares are like any other visual tool - useful when they support the story or emotion, clinical and comical when over-used. It's great to have so many choices to play with. I'd love to add my experience with lens flares. I see them through my own eyes quite often, especially at night or when squinting in bright sunlight. Our eyes are lenses and have surface aberrations, moisture, tears or the ends of eye lashes to obstruct, refract and create lens flares just like a photographic lens. These natural lens flares indeed look less mechanical then a lens flare made by a piece of glass but they are there. So I don't think lens flares in films inherently take the viewer out of the film because most of us may see them in our daily lives. you can't do it in post. I get so tired of hearing this one that one it hurts. you can only crudely approximate it at best. a lens changes how the image is captured. wide open uncoated or single coat glass just doesn't flare, it changes the contrast of the image, the sharpness, and can add diffusion you can't create in post. you can try to roughly approximate it, but its not the same. you can't create ( at least for now ) how a lens takes light and it bounces around between elements, passes thru the iris and hits the sensor with maybe some reflections there. sorry but no filter out there can do that. whats more, you are in fact change the dynamic range of the image being captured on a good way. its the real way to "shoot flat" with a dslr because you aren't tossing bits away. here is a review I just did on a classic Takumar 50 1.4 http://www.steveoakley.net/template_permalink.asp?id=577 showing both wonderful flares, a nice portrait and some straight shots with plenty of contrast / sharpness. to be honest I find most modern glass pretty boring but necessary for some type of shots where a clean shot is what the client needs / wants / expects. Your romanticizing lens flares is pretty funny. I don't know why there is such a large personal stake in this for you, a lens flare is a somewhat superficial thing to take such a religious opinion about. That said I think you are underestimating the tools that are available for generating imagery after the fact. I imagine that if it's possible to "approximate" close ups of a tiger living on a lifeboat for 2+ hours then a believable flare is probably within the realm of possibility. I'm not romanticizing flares but taking a hard look at how physics of photons, glass elements, iris and sensor all play together to create characteristic flare. It isn't just flare per se but other changes that happen with how the image is recorded. I"d say I'm being pretty analytical. when you move the lens, change focus and iris that all changes how a flare appears thats completely 1:1 with the rest of the image. trying to do that after the fact never looks the same. I have several lens flare filters in my collection FWIW and it takes huge amounts of tweaking to attempt anything really good that looks natural. then there is trying to track something in the shot to give you a flare center point when that center point is actually out of frame... or you can use a lens with nice flare characteristics, put a real light just out of frame which takes a minute or two and have it. "You may not choose uncoated lenses on your next project, but it’s certainly something to keep in mind if you’re looking for a particular look, and you want some interesting flares"
Personally I hate computers. I'd rather spend two hours tinkering in the garage then an hour in After Effects. I also hate too many choices, I've added lens flares in post and I watch same thing over and over again trying to figure out if it's realistic enough. For that reason if I can add an effect in camera I try my best to do so. Now if you HATE lens flares then don't use this technique, but don't limit yourself so that you're unable to recognize it for what it is: a tool. That footage from Camtec was pretty cool. I like the low contrast. I and many other people dislike static flare but love flare when it MOVES through a scene. I helps to show the direction of light and can add depth to a scene. I agree, those are really the only situations I like them in, like a "reveal" shot on a dolly! Flare flashes in, Flare blinks out, beautiful. How hard would it be to remove the coating from say an old Nikon AE 50mm lens? what tools are involved and what is the process? I also would like to know this, since this example seems to be removing them from just the front and rear elements, It could be a cool DIY project lol. Isn't alcohol warned not to be used cause it removes lens coatings? Saving Private Ryan is pretty good example of using specific tools (one of them being lenses with the coating removed) to achieve the look the director and DP were after. I'd say their choices to achieve as much of the look in camera as they did worked out pretty well. Saying any particular tool is not worth using and is inherently bad form for cinematography is a bit closed minded. I guess it really boils down to what you are trying to tell the audience by the photography. There are times in a story when you want the washed out look, as if going back in time, in a dreamworld, or a man is losing his senses and that has to be conveyed. His vision is blurry from a brain tumor and the audience sees what the man is seeing. This is where they could come so perfectly well. A good tool used at the right time. Prior to this, I never even thought of it. Can a filter (s) do the same thing? I don't know? As a veteran cinematographer disposing of a huge inventory of vintage equipment (http://www.mediamaestro.net/equipment.htm), I have sold vintage cine cameras and lenses to knowledgeable crews who know that, in addition to being economical compared to post production alternatives, the many subtle differences (or flaws in earlier designs, if you prefer) in older lenses cannot be dujplicated by just unscrewing the front element of a modern lens a half turn or more, or smearing Vaseline on a UV filter. We've all seen enough archival footage to know the difference between a Chaplin or Griffith framed image and some contemporary 'haze filter.' I've even converted old Filmo cameras to be hand cranked so crews could shoot additional footage to match with hand cranked archival footage. To the knowledgeable experienced viewer, their gut tells them when period footage was shot with period equipment, or just attempted with modern equipment. Such subtlies are the difference between an artist and a technician. My extensive lens list (http://www.mediamaestro.net/lenses.htm) includes lenses that go back 150 years. I only go back half as long, but that's long enough to become an artist. Fungus. You could be waiting a while though. I have a 30+ year old 24mm I bought off ebay that has a a lovely fungus shaped space where the coating used to be.